Glamorous and stylish are what best describes the Royce Collection accent chair by Sandy Wilson Home. You would think the dazzling looks of the Royce accent chair with its Polished Gold legs, hand tufting, and plush padding belonged in the lobby of a posh hotel or spa. Why not bring that look home for yourself to enjoy and impress your guests! 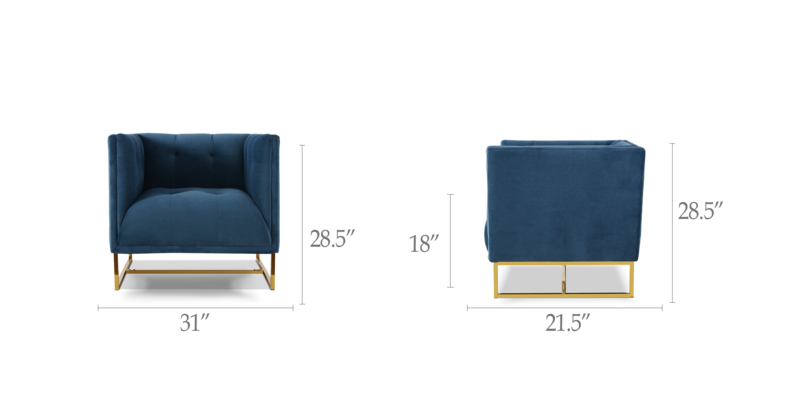 Handmade with rich luxurious fabrics and a solid wood frame for exceptional quality that will last.